ENEOS Import DPS Fluid is dual pump system fluid engineered specifically for Honda and Acura vehicles that require Honda Dual Pump Fluid II and Acura DPSF Genuine Fluid. Formulated with select high-quality synthetic base oils which are combined with unique additives, ENEOS Import DPS Fluid will provide outstanding compatibility with your vehicle. ENEOS Import DPS Fluid is formulated with selected high-quality synthetic base oils combined with unique additives developed through the advanced technology of JX Nippon Oil & Energy. JX Nippon Oil & Energy is the leading innovator and supplier of automotive lubricants to the majority of Asian automobile manufacturers. 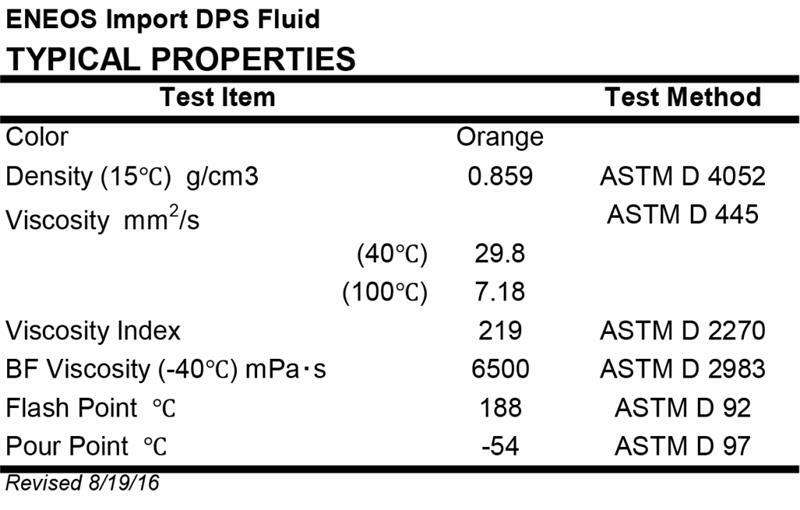 ENEOS Import DPS Fluid provides outstanding compatibility and performance for all of the service fill requirements for your vehicle applications. 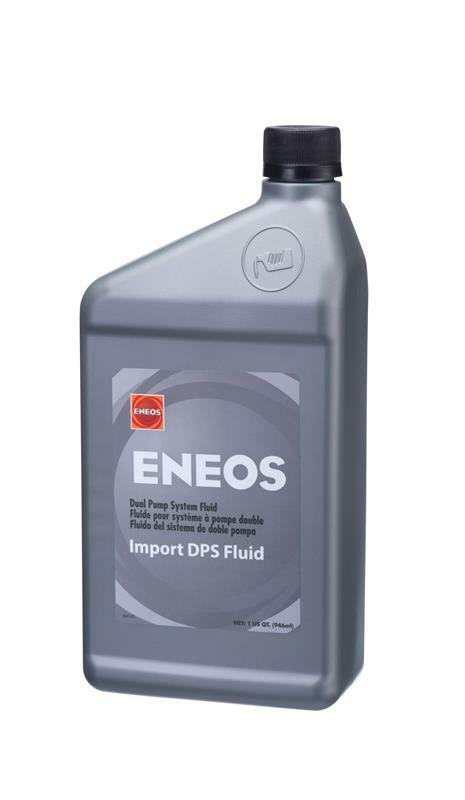 ENEOS Import DPS Fluid is recommended for uses in Honda and Acura vehicles with Dual Pump Systems that require Honda Dual Pump Fluid II and Acura DPSF Genuine Fluid.